These patches are made from lineart drawn by Genepi which I then convert into a file my embroidery machine can read and, voila! 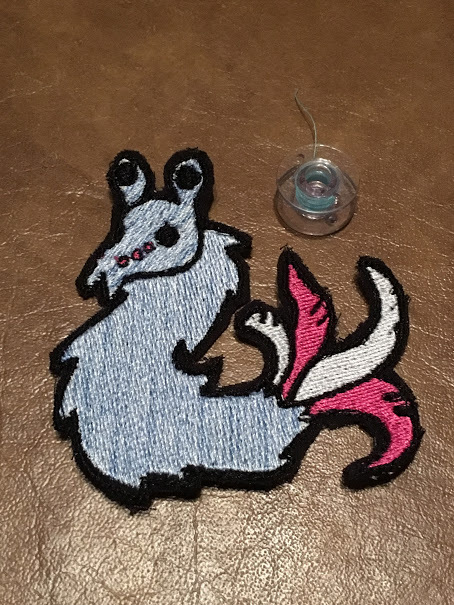 Wyrm patch! Each one is about 3.4-.5 inches long and tall at it's widest points. They can be sewn on to clothing and other fabric or can come with a pin or an iron-on backing for an extra fee. For now I'd like to stick to very basic wyrms while I get a better feel for the software I'm using. So as of right now I won't be doing mules, hybrids, or non-teacups. 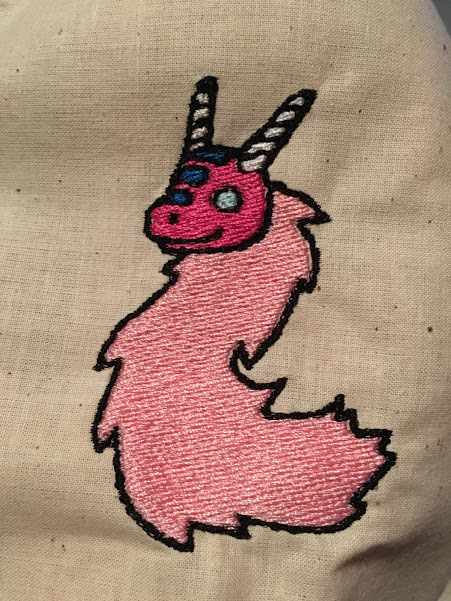 I'd also highly prefer to stick to wyrms without markings since that does not require different lineart (and therefore another pattern for me to make). I'll expand to marked wyrms and mules once I have the basic breeds down to a science. Due to the fact that each one has very unique markings, we are not doing teslas, dogs, cats, birds, mules, or hybrids right now. We would like to open these up as a commission option eventually but they are not available yet. When we open up commissions for wyrms with markings each marking will be considered an add on and come at an additional cost. Again though, for the sake of our sanity not during homecon. Last edited by Aurorous on Thu Feb 25, 2016 8:46:47 pm, edited 1 time in total. Updated with a list of things I'm working on. Still going through medical hell so my progress doing these will likely be slow.